Black soft touch bonded leather coffee table with wooden feet. Available from stock for a free next day delivery. Choose from a range of black leather seating to mix and match with this coffee table. 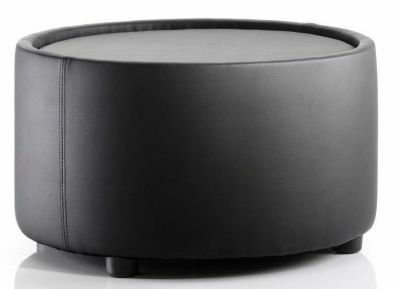 Stock item for next day delivery fully upholstered in quality soft touch black leather. Popular with high end reception or socia-bble areas.